Why it matters: Spotify is purchasing Anchor and Gimlet Media in order build a large library of original audio content and podcasts. The company is hoping to leverage its lead in streaming music to corner the market in podcasts in order to create the world's largest audio platform. Music streaming giant Spotify announced its acquisition of podcast network Gimlet Media and Anchor, a podcasting platform that allows creators to publish and monetize their podcasts. Spotify believes that audio, not just music, is how they'll continue to grow their business. Spotify Founder and CEO Daniel Ek wrote about why he believes there is much more potential in the podcasting space: "Based on radio industry data, we believe it is a safe assumption that, over time, more than 20% of all Spotify listening will be non-music content. This means the potential to grow much faster with more original programming — and to differentiate Spotify by playing to what makes us unique — all with the goal of becoming the world’s number one audio platform." Ek believes that with the focus on getting away from too much screen time, there lies an opportunity to capitalize on enhancing the audio experience. Spotify has the highest subscriber base among all the streaming music services and looks to use that lead to take over the podcast market as well. Ek wants Spotify to become not just the world's largest streaming music platform, but the world's largest audio platform period. Gimlet is a startup podcasting network which has a number of popular shows such as Homecoming and Reply All, the former of which was adapted into a show on Amazon Prime. Anchor is a podcast platform that allows creators to host and build a podcast for free. Creators can even monetize their podcast through paid sponsorships with third-party companies. I personally use Anchor to host my own tech-focused podcast. From personal experience, I can attest to how easy it is to record, edit, and publish in the app itself (although I use Audacity for actual editing). In fact, Anchor will automatically publish your podcast to every major podcast listening platform like iTunes, Google Play, Podastery, and others. I have not yet used Anchor's monetization tools, but it seems a lot easier to make money than using a platform like YouTube where you must have a certain amount of subscribers and views. 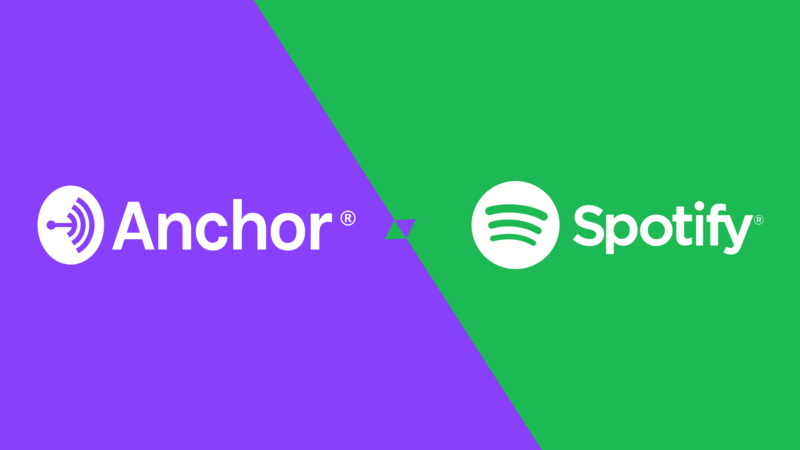 With Anchor being acquired by Spotify, I can only hope that Spotify's vast subscriber base will only help my efforts. Spotify is hoping to continue to enlarge its subscriber base by investing in interesting and original audio content via podcasts. This will hopefully increase revenue by driving subscriptions and ads. However, the company needs top tier podcasters and creators to drive the content that brings people to Spotify. Gimlet's existing podcast network combined with Anchor's creator-friendly monetization may do a lot to entice people to create new audio content for Spotify. In a letter to shareholders, Spotify explained that they plan to spend around $500 million on additional acquisitions in the podcast space. "Growing podcast listening on Spotify is an important strategy for driving top of funnel growth, increased user engagement, lower churn, faster revenue growth, and higher margins. We intend to lean into this strategy in 2019, both to acquire exclusive content and to increase investment in the production of content in-house." Spotify definitely seems poised to take over the podcast landscape. It wants to become for audio what YouTube is for video. With Apple also investing into original content and partnerships with megastars like Oprah, it will be interesting to see which service consumers ultimately choose.